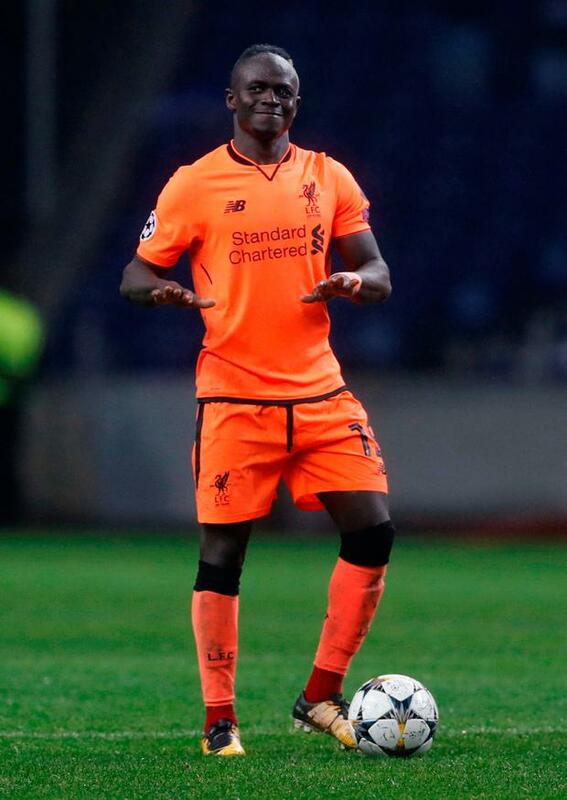 Sadio Mané left the Estadio do Dragao pitch with his head held a little higher, his chest puffed out a little wider and the match ball in his possession. The Liverpool winger would have missed out on the hat-trick hero's customary reward had team-mate Andrew Robertson not ruthlessly wrestled it from a ball boy after the final whistle. And though it may seem cruel that a youngster in the city of Porto must go without a treasured memento, this is one match ball that will mean a tremendous amount to Mané. It was, after all, a much-needed hat-trick. While Roberto Firmino and Mohamed Salah have excelled over the past weeks and months, Mané had quietly stagnated. His indifferent spell of form - with just two goals in his last 12 appearances - stretches back to a high-profile miss in December's Merseyside derby but even before that, injury and suspension had led to a stop-start season. It was only midway through Wednesday's emphatic 5-0 Champions League win that Mané began to look himself again. Though his first goal was fortunate, trickling in after a first-half fumble by goalkeeper Jose Sa, his second and third were reminiscent of the Mané who enjoyed such an impressive debut year at Anfield last season. One demonstrated his predatory instinct, as he finished a rebound from close in. The other was that of a player evidently enjoying himself, lashing home from distance after an inventive one-two and surge through the centre of the pitch. The Senegalese winger's confidence seems restored, though he insisted after the final whistle that he had never lost faith in his own ability. "Honestly I am very happy to score three goals. It was tough on me but it is part of football and can happen," Mané said. "I never doubted how I could help the team and I never stopped working hard every day in training. "I always tried to remain balanced, even when it was not working, because it is my job and I have to do it," he added. "It is part of football. I don't know how to describe it but it can happen to every single player and in my mind I was relaxed that it will change." Mané admitted that his season has been one of ups and downs so far, and there has been more downs than ups if truth be told, but his outstanding display in Porto can act as a springboard for the remainder of the season. "As a player sometimes it is not easy for me, but I never doubted myself as I knew I could help the team," he reiterated. "We have more important games to come in the next couple of weeks so we will be ready for that." Manager Jurgen Klopp was just as pleased with the team performance. Apart from Mane's first hat-trick for the Reds, Klopp was able to reflect on Salah becoming the second fastest to 30 goals in the club's history and another clean sheet - only the second time since February 2011 they have kept three consecutive clean sheets away from home. "We defended really well and that was important," he said. "Porto are top of the league. You are not top of the league if you don't play football. Both (our) centre-halves and full-backs were really spot on. "'Robbo' (Andy Robertson), wow, what a performance. Trent (Alexander-Arnold), sometimes you forget his age. It was a really good night in so many different ways. "All the midfielders were fantastic and most important the three boys up front helped us. They did it in an outstanding manner." "He was always important. He was always fantastic for us even in his 'not that good' moments. That's real quality. "If you are not at 100pc but still involved in goals, that's really important. Then it will come if you keep working really hard like he did. "The first was a little lucky, but the other two - the second one was about being in the right place and he used his fantastic skills on the third one so it's good, really good. I'm happy about it." Salah's 30th goal in his 36th game was nine slower than George Allan's feat in 1896 but nonetheless impressive. "He played a good season, I recognise that already but it's very important for us," said Klopp. "Who was quickest? (answer George Allan). Wow. That's long ago then, because sorry, I don't know. That makes it more exciting so congratulations, but hopefully it won't stop." The result even prompted Liverpool's principal owner John W Henry to write his first tweet about the club since 2016. "Tremendous effort in 5-0 win tonight away from home in Champions League," he wrote. "A lot of talent displaying selfless, smart play we all can be proud of. Huge, satisfying step toward final eight."